Apex Fire supplies one of the largest ranges of Access Control Systems in Ireland. All our Access Control Solutions can be fully integrated into your facilities management systems, giving you the level of control required for your building. Regardless of the size of your operation, we have the appropriate Access Control Solution for your business. All our solutions provide the security and reassurance of having state of -the-art access control. 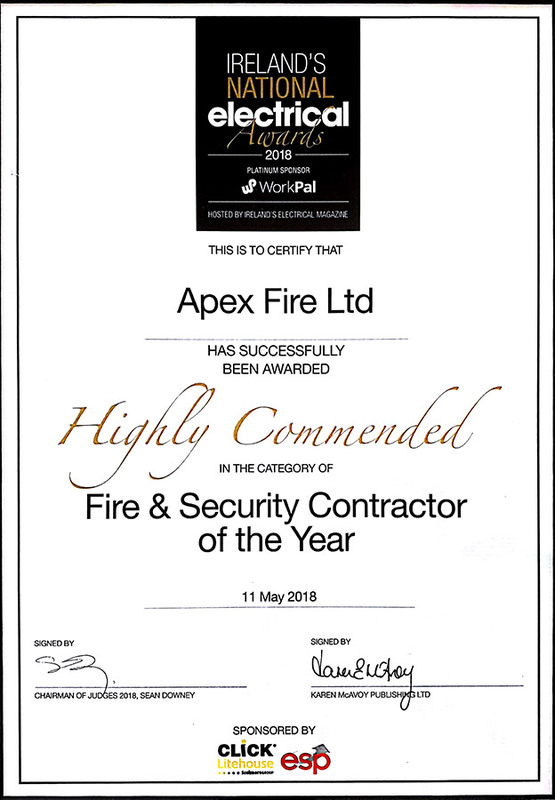 The benefit of buying your Access Control Solution from Apex Fire is that it can be fully integrated with your fire alarm, intruder alarm, and CCTV monitoring, to give a truly comprehensive safety and security solution for your business premises. This gives our clients the benefit of dealing with one company for all their facilities management needs. We offer all of our clients the benefits of our Apex ONE Plan, which gives you One Assessment, One Price, One Expert, with No Extra Cost. By dealing with APEX Fire you can save significant time and money as you only have to deal with one company. To learn more about our Access Control Services and the Apex One Plan simply contact us or call our friendly team at LoCall 1850 929­829.